An important part of our mission as a Community Foundation is building endowment — a permanent source of community capital benefiting the residents of southeast Michigan. An endowed fund at the Community Foundation is a perfect way to leave a lasting legacy of support for a cause or organization you care about. You’ll also have the peace of mind of knowing that your charitable assets will be carefully managed and deployed in fulfillment of whatever purpose you establish — today and forever. What difference will your gift make in the world? Each endowed fund tells a different story of caring and commitment. Here are three out of the many hundreds. 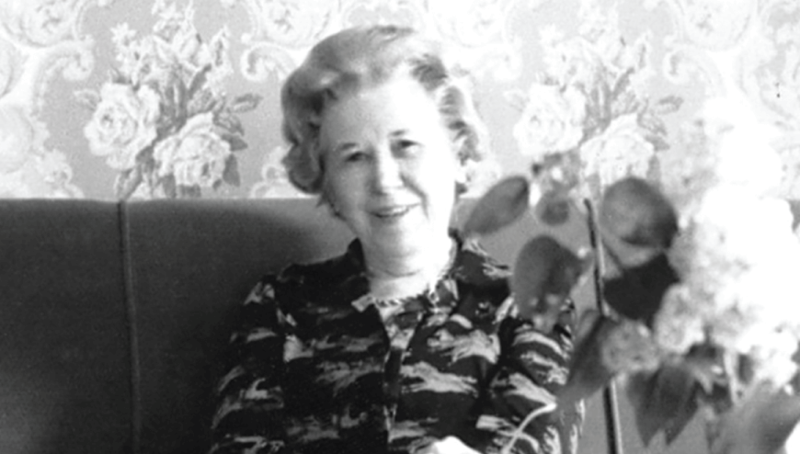 Elizabeth M. Wight (pictured above) made a bequest to the Community Foundation in 1986 that was used to create the endowed Elizabeth M. Wight Fund to support people with hearing and vision problems. As she advanced in age, Mrs. Wight experienced these problems herself and wanted others to benefit from the support and services her gift would make possible. Over the past 30 years, grants totaling more than $1 million have been made to organizations serving the hearing and visually impaired, with more dollars granted each year. As the last member of her family line, Helen Tallman established the endowed Helen Tallman Fund in 1995 to support several areas of charitable interest and keep the Tallman legacy alive in the region. The Tallman family owned a successful antique store in Detroit and always committed a portion of their earnings back to the community. One of Helen’s interests was education, so the endowment supports engineering and medical scholarships at Wayne State University. She also designated that the endowment support medical research, relief for the poor and disadvantaged, and victims of natural disasters. Former Detroit Mayor Dennis W. Archer established two endowments with the Community Foundation in 2003. One endowment is named the Dennis W. Archer Community Development Fund, which supports charitable activities that improve neighborhoods and the lives of city residents. The other endowment is the Dennis W. Archer Fund, which supports charitable programs dedicated to rebuilding urban areas, providing education and guidance to youth and combating racism and its effects, and other charitable, scientific and educational purposes. To date, the latter endowment has awarded more than $1 million in grants for college scholarships for students from Detroit and Mayor Archer’s hometown of Cassopolis, Michigan to attend Wayne State and Western Michigan universities. To learn more about establishing an endowed fund at the Community Foundation that fits your vision of a brighter future, contact our Philanthropic Services team at pservices@cfsem.org or call313.961.6675.